Divisible seal made of Butyl Permits to soundproof all parts with leak risks (door, bass enclosure, …). Can be stuck on any surface. Fix any object on any type of support. Content: one 14.76 ft (4.5m) roll – 03/8” (9mm) diam. Product Download Specification ..
Honeycombed damping material Just like the acoustic foam inside a loudspeaker, the honeycombed damping material attenuates the speaker back wave and then increases the speaker performance. Aluminum sheet essential component to the sandwich effect realization. This process permits to increas..
BAM XXXL Description – 3 Technical Materials, 3 Strategic Functions This acoustic insulation kit is completing and essential to a quality car audio installation. From its use depends optimum acoustic rendering of speakers, amplifiers and installed accessories. 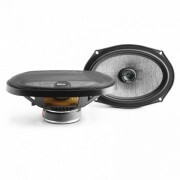 Technical materials made of honey..
FOCAL TOYOTA SPECIFIC SPEAKERS FOR PERFECT INTEGRATION IC 165TOY is a two-way coaxial kit with a 6½” woofer and a tweeter enabling to equip factory locations up front and improving the musicality of numerous Toyota® models. Excellent reliability, neutral sound and deep bass, compact and ergo..
570AC Description The Access 570 AC car audio kit produces very good results in your car’s original speaker fitting locations. This means you benefit from Focal sound in a most impressive value-for-money package. 570AC Features DFS® cone (Dual Fiberglass Structure) Compa..
690AC Description The Access 690 AC car audio kit produces very good results in your car’s original speaker fitting locations. This means you benefit from Focal sound in a most impressive value-for-money package. 690AC Features DFS® cone (Dual Fiberglass Structure) Compa..
130AS Description The Access 165 AS car audio 2-way component kit is of sufficiently high sensitivity to be directly connected to a car stereo. It has 3-position tweeter adjustment for optimal listening comfort. 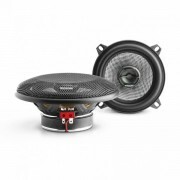 Accessories shipped with the tweeter enable multiple fitting options and finding the ..
165AS Description The Access 165 AS car audio 2-way component kit is of sufficiently high sensitivity to be directly connected to a car stereo. It has 3-position tweeter adjustment for optimal listening comfort. Accessories shipped with the tweeter enable multiple fitting options and finding the ..
FOCAL TOYOTA SPECIFIC SPEAKERS FOR PERFECT INTEGRATION IS 690TOY is a two-way component kit with a 6×9’’woofer and a tweeter enabling to equip factory locations up front and improving the musicality of numerous Toyota® models. Reliable, neutral and powerful, the comp..
BOMBA BP20 Description BombA BP20 is a bass-reflex subwoofer enclosure with flared vent reducing air noise, equipped with a all weather glass fiber woven cone 20cm (8″) drive unit, in bandpass technology, it provides deep and controlled bass frequencies. Its built-in 300W class D amplifier o..
FOCAL FDS 1.350 DESCRIPTION The FDS 1.350 is a mono block amplifier specifically designed for handling a subwoofer channel. 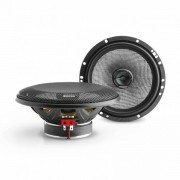 It has a power of 210 and 350 Watts RMS under 4 and 2 Ohms respectively. In order to configure the system’s bass according to the car’s installation; it is equipped with an ..